Suriya's Venkat Prabhu directed supernatural thriller Masss has completed its censor formalities. 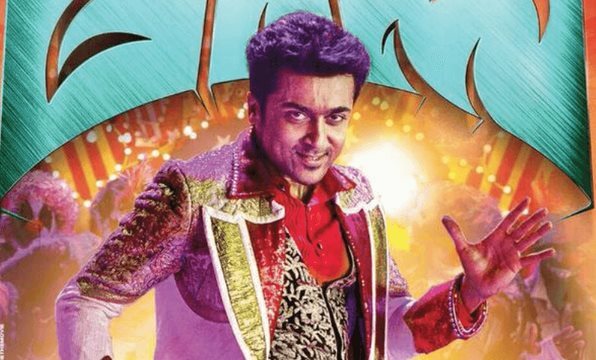 Actor Suriya starrer 'Masss', directed by Venkat Prabhu is one of the most anticipated films this year. The movie has been cleared with a clean U certificate by the Censor Board. "#masss its a "U" certificate!!!" After dishing out a colourful teaser, the Masss team has come up with a new 12 second promo, which will be aired on TV. In the promo we see both the avatars of Suriya – the one with moustache and one without them, cracking some bones and delivering some deadly kicks and punches. The movie showcases the return of police officer Suriya from the grave to avenge his detractors. Masss is said to have a supernatural click to it and it would be interesting to see how a mainstream film deals with supernatural subject. The leaked video of Poochandi song has added to the buzz and excitement surrounding the film. The film starring Suriya and Nayanthara in the lead is set for grand release on May 29. Pranitha, Partheipan, Samuthirakani and Premgi Amaren will be seen in important roles in this supernatural thriller. Produced by Studio Green under Studio Greens banner, the film is a horror flick which has music by Yuvan Shankar Raja and editing will be handled by Praveen KL. Masss is also slated to hit screens on May 29th in Telugu as 'Rakshasudu'. With a week to go for May 29, all we fans can do is wait for Masss release. And till then get into Masss mania by listening to chartbusting songs by Yuvan Shakar Raja.